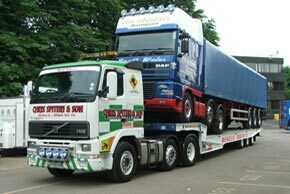 Our recovery vehicles are fully equipped to recover rigids, artics, trailers and coaches ranging from 7.5 to 44 tons. We have the facility of a fork lift truck, telescopic loading shovel, an 80 ton crane and air cushions. There are no costs involved in establishing a monthly account for roadside or accident recovery. A fixed menu of charges is only applicable on each occasion our services are used. There are no hidden extras to artificially inflate the invoice. There are no charges added for vehicles or equipment on standby, or specialist equipment not required. All invoices will clearly define the use of all equipment, especially in such circumstances where the laod is saved and effects the recovery. This will include time, equipment, and manpower, to separate road risks from goods in transit. 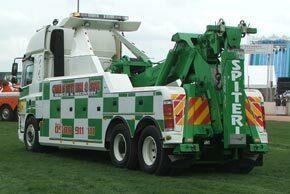 Any invoice may be scrutinised by the independent Auto-Rescue Standards Committee.